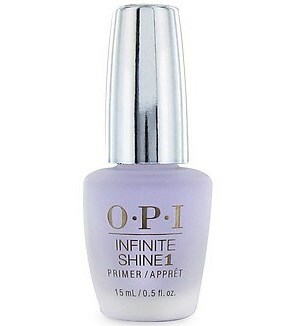 OPI Infinite Shine Long Wear Lacquer, Primer Base Coat, IST10, .50 fl. oz. Step 1 in the 3-step Infinite Shine application. Primes nails for a revolutionary grip on color and helps prevent staining.